Welcome to the website of the Nanobioelectronics & Biosensors Group, led by Prof. Arben Merkoçi. Our group is part of the Catalan Institute of Nanotechnology in Bellaterra (ICN2 www.icn.cat) (Barcelona), Catalonia, Spain. We carry out research on the integration of nanotechnology methods, tools and materials into low cost, user friendly and efficient sensors and biosensors. The developed (bio)sensors take the advantages of nanoparticles, nanotubes, graphene, nanochannels and other nanomaterials while being integrated into innovative, high sensitive and mass production platforms with interest for several applications in everyday life. The main objective of Merkoçi group is to design nanotech devices that can be used even by non professional people for fast diagnostic at home or doctor’s office, control of food quality, safety and security applications where either an emergency exists or an alternative method toward the sophisticated and expensive laboratory instrumentation is being required. 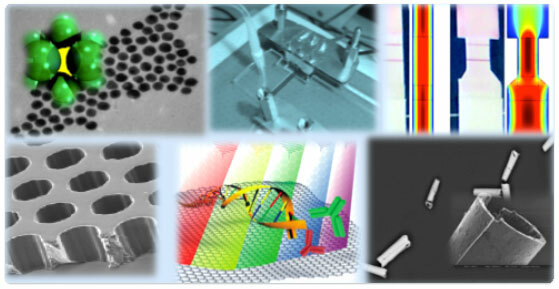 The research at Merkoçi Group focuses on discovering and technological development of the cutting edge nanotechnology and nanomaterials based simple biosensing platforms by employing and controlling their architectures at both nano and macro scales with the objective to link together nano and macro worlds. Our group is composed of researchers with backgrounds in chemistry, biotechnology, analytical and physical chemistry, electrochemistry, material science, electronics and other related fields that strongly collaborate together and try to find synergies in developing new nanobiosensors and transfer the developed platforms to industries. Our activities include development and applications of nanobiosensors in health, environment, safety and security fields as well as education and training in the field.